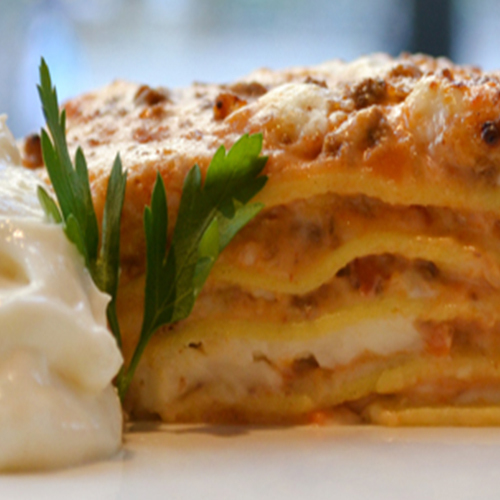 Chef Cristian’s signature house-made, five-layer lasagne is perfect for entertaining. Need a little help in the kitchen? You can pre-order pans of our lasagne to-go! Pick up cold. Our signature five layer lasagne is a house favorite. Pick up only during hours of operation. Heating instructions included. 72-hour advance ordering is required.